An SUV rollover accident in Massachusetts on Route 495 left one man with serious injuries recently, according to Boston 5. Troopers received a number reports from a several witnesses that said that a second vehicle may have cut off the victim’s car and caused the accident. The driver of the flipped car was ejected during the rollover and was later taken to Jordan Hospital with life-threatening injuries. The driver of the second vehicle involved in the accident was later arrested and is being charged with operating under the influence of alcohol, according to state troopers. The southbound lanes of Route 495 were closed and traffic was detoured over to Route 138. Our Boston personal injury attorneys understand that some vehicles may be deemed safer than others through a number of studies. In the past, drivers of sport utility vehicles were scrutinized because of the vehicles’ frequent rollover incidents. The main cause used to be because they were so top heavy. Now, these larger vehicles provide more safety feature for occupants, making them least likely to die in a accident, according to the latest death rates from the Insurance Institute for Highway Safety (IIHS). “The change is due largely to the widespread availability of electronic stability control (ESC), which helps prevent rollovers. With the propensity to roll over reduced, SUVs are on balance safer than cars because their bigger size and weight provide greater protection in a crash,” reports the IIHS. 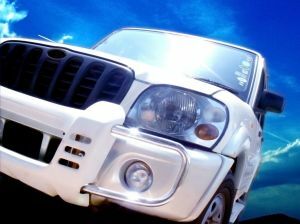 The makers of these vehicles also have an influence on your safety in the event of an accident. Currently, South Korean automakers like Hyundai and Kia and German car makers such as Volkswagen are topping insurance industry’s yearly list of the safest new vehicles. These vehicles are chosen for their ability to protect an occupant during a front, side and rear crash test. For an automobile to qualify for the award, the insurance industry group requires that vehicle to have anti-rollover electronic stability control and receive top scores in their roof-strength test. -Chrysler ranked number one for the safest in the U.S. market with four vehicles: Jeep Grand Cherokee, Jeep Wrangler two- and four- door and Dodge Dakota. Each of these vehicles placed in the top 25 for having the lowest rates of driver deaths and had no vehicles in the bottom 25. -Ford had one vehicle, the Edge, in the top 25 lowest rates of driver deaths. Unfortunately, Ford had two Ranger pickup models that placed in the bottom 25. -GM had six vehicles in the bottom 25, including Chevrolet Aveo, Cobalt, Malibu Classic, Colorado and Buick Lucerne and LaCrosse. GM had no vehicles that placed in the top 25. The study concluded that non-American automakers took 20 out of the 25 spots for lowest death rates.They also took 17 out of 25 spots for having the highest death rates, according to Mlive.com. This is another reason why not only the type of vehicle you choose can potentially save your life in an accident, but the maker of the vehicle you choose can contribute to your safety as well. Do your research on what type of vehicle to buy, but also practice safe driving habits to reduce accidents on our streets and highways.